Darrell Griffith 2013-14 Immaculate Collection PRINTING PLATE MAGENTA Card 1/1! Vince Carter 2013-14 Pinnacle AWAITING THE CALL . Dispatched with Royal Mail 2nd Class Letter. AUTOGRAPH CARD No560 12/49. PANINI PREFERRED BASKETBALL 2013-14. 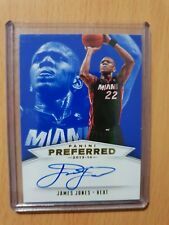 THIS CARD IS FROM2013-14 PRESTIGE DISTINCTIVE INK. CARD IS SERIAL NUMBERED 40 / 50. BUY OVER 10 LOTS AND GET 15%. BUY 5 -9 LOTS AND GET 10%. THIS CARD IS FROM 2013-14 PANINI INTRIGUE INTRIGUING PAIRS JERSEYS. CARD REFERENCE NUMBER IS 30. AUTOGRAPH CARD No48. LIVIO JEAN-CHARLES. FLEER RETRO BASKETBALL 2013-14. THIS CARD IS FROM2013-14 FLEER RETRO '97-98 SKYBOX AUTOGRAPHICS. You are Buying a 2013-14 Panini Gold Standard Archie Goodwin Authentic Autograph Jersey Relic Rookie Card # 227. Player Archie Goodwin. Card Manufacturer Panini. Card is Signed in Blue. Autograph is an "On Card" Autograph. You are Buying a 2013-14 Panini Gold Standard Jamaal Franklin Authentic Autograph Jersey Relic Rookie Card # 256. Player Jamaal Franklin. Card Manufacturer Panini. Card is Signed in Blue. Autograph is an "On Card" Autograph. You are Buying a 2013-14 Panini Gold Standard Kelly Olynyk Authentic Autograph Jersey Relic Rookie Card # 242. Player Kelly Olynyk. Card Manufacturer Panini. Card is Signed in Blue. Autograph is an "On Card" Autograph. Card Manufacturer Panini. Player Chris Paul. Card Attributes Piece of Authentic. 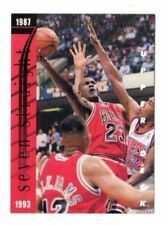 Shane's Sports Cards. UPC Does not apply. Card Attributes Single-Insert. Season 2013-14. Product Single. You are Buying a 2013-14 Panini Gold Standard Isaiah Canaan Authentic Autograph Jersey Relic Rookie Card # 230. Player Isaiah Canaan. Card Manufacturer Panini. Card is Signed in Blue. Autograph is an "On Card" Autograph. You are Buying a 2013-14 Panini Gold Standard Peyton Siva Authentic Autograph Jersey Relic Rookie Card # 251. Player Peyton Siva. Card Manufacturer Panini. Card is Signed in Blue. Autograph is an "On Card" Autograph. You are Buying a 2013-14 Panini Gold Standard Allen Crabbe Authentic Autograph Jersey Relic Rookie Card # 238. Player Allen Crabbe. Card Manufacturer Panini. Card is Signed in Blue. Autograph is an "On Card" Autograph. Player: Greg Monroe. Player Greg Monroe. Year: 2013. Sport: Basketball. Sorry, no exceptions! Period Modern (1970-Now). Sport Basketball. Item Condition: Near Mint/Mint. Player Victor Oladipo. Professional Grader Beckett (BGS). Series Immaculate. Card Manufacturer Panini. Card Attributes Rookie. Product Single. Card Number #99. Certification Number 0010861423. Player Kobe Bryant. EFFECTIVE April 19, 2014. Card Manufacturer Select. Team Los Angeles Lakers. Card Attributes Insert. Grade Ungraded. Product Single-Insert. CARD REFERENCE NUMBER IS 70. You are Buying a 2013-14 Panini National Treasures Pero Antic Short Printed Authentic Autographed Rookie Card # 135. Player Pero Antic. Card Manufacturer Panini. Card is Signed in Blue and Autograph is an "On Card" Autograph. You are Buying a 2013-14 Panini Gold Standard Otto Porter Authentic Autograph Jersey Relic Rookie Card # 260. Player Otto Porter. Card Manufacturer Panini. Card is Signed in Blue. Autograph is an "On Card" Autograph. 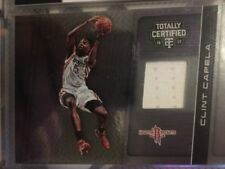 You are Buying a 2013-14 Panini Gold Standard Kentavious Caldwell-Pope Authentic Autograph Jersey Relic Rookie Card # 228. Player Kentavious Caldwell-Pope. Card Manufacturer Panini. Card is Signed in Blue. You are Buying a 2014-15 Panini Spectra KJ Mcdaniels Short Printed Prizm Refractor Authentic Autograph & Jersey Relic Rookie Card # 23. Player KJ Mcdaniels. Card Manufacturer Panini. Card is Signed in Blue. Player Robert Parish. Card Manufacturer Panini. Card Attributes Autograph. Card is Signed in Blue. Player Kevin Durant. Card Manufacturer Select. Year 2013-14. Era Modern (1970-Now). League NBA. Team Oklahoma City Thunder. Player: Carlos Boozer. Player Carlos Boozer. Team: Chicago Bulls. Set: 2013-14 Panini Spectra Red Die Cut Variations. Manufacturer: Panini Group. Team Chicago Bulls. SetType: Parallel. Card Manufacturer Panini Group. Player: Tyson Chandler. Team: New York Knicks. Player Tyson Chandler. Team New York Knicks. Year: 2013. Sport: Basketball. Sorry, no exceptions! Period Modern (1970-Now). Player Andre Roberson. Team Oklahoma City Thunder. Card Manufacturer Totally Certified. EFFECTIVE April 19, 2014. Card in title is the actual card you are purchasing. 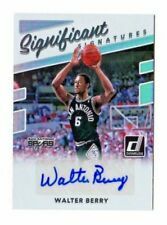 Card Attributes Autograph. Product Single-Insert. Player Andre Miller. Card Manufacturer Panini Titanium. EFFECTIVE April 19, 2014. Era Modern (1970-Now). Team Denver Nuggets. 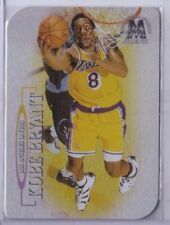 Card Attributes Serial Numbered. Card Attributes Piece of Authentic. Grade Ungraded. Player: Brad Daugherty. Player Brad Daugherty. Year: 2013. Sport: Basketball. Sorry, no exceptions! Period Modern (1970-Now). Sport Basketball. Team Cleveland Cavaliers. Team: Milwaukee Bucks. Team Milwaukee Bucks. Year: 2013. Sport: Basketball. Sorry, no exceptions! Period Modern (1970-Now). Sport Basketball. Manufacturer: Panini Group. Player Kevin Durant. Card Manufacturer Panini Intrigue. Original/Reprint Original. Year 2013-14. Era Modern (1970-Now). League NBA. Team Oklahoma City Thunder. Player: LaMarcus Aldridge. Player LaMarcus Aldridge. Team: Portland Trail Blazers. Team Portland Trail Blazers. Set: 2013-14 Panini National Treasures Gold. Year: 2013. Sport: Basketball. Period Modern (1970-Now). You are Buying a 2013-14 Panini Elite Ben Mclemore Short Printed Rookie Essentials Authentic Autograph Relic Insert Card # RE-BM. Player Ben McLemore. Card Manufacturer Panini. Card is Serial # 117 / 175 and is Signed in Blue. Team: Washington Wizards. 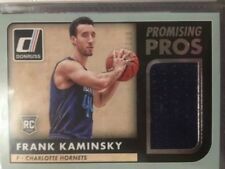 Set: 2013-14 Panini National Treasures Gold. Team Washington Wizards. Player: John Wall. Year: 2013. Sport: Basketball. Player John Wall. Period Modern (1970-Now). Card Manufacturer Pinnacle Clear Vision. Player Magic Johnson. Era Modern (1970-Now). Season 2013-14. Card Attributes Acetate. Autograph Format Not Autographed. Grade Ungraded. Product Single. 2013-14 Panini Spectra Spectacular Swatches Autographs Orange Prizms #3 Thaddeus Young - Serial Numbered 20/35. Player Thaddeus Young. Series Spectra. Card Number #3. Era Modern (1970-Now). Card Thickness 75 Point. Card Manufacturer Panini National Treasures. League NBA. Era Modern (1970-Now). Card Attributes Piece of Authentic. Shane's Sports Cards. Product Single. Player LaMarcus Aldridge. Card Manufacturer Panini Crusade. Season 2013-14. Autograph Format Not Autographed. Larger Sets-Vary by weight. Product Single. League NBA. Player: Josh Smith. Player Josh Smith. Year: 2013. Sport: Basketball. Sorry, no exceptions! Period Modern (1970-Now). Sport Basketball. Item Condition: Near Mint/Mint. LOOK THROUGH 100'S OF LOW END BARGAINS. Player: Walt Frazier. Team: New York Knicks. Set: 2013-14 Immaculate Collection The Greatest Autographs. Player Walt Frazier. Team New York Knicks. Year: 2013. Period Modern (1970-Now). SetType: Insert. Player: DeAndre Jordan. Player DeAndre Jordan. Team: Los Angeles Clippers. Team Los Angeles Clippers. Set: 2013-14 Panini National Treasures Gold. Year: 2013. Sport: Basketball. Period Modern (1970-Now). Player: Nikola Vucevic. Player Nikola Vucevic. Set: 2013-14 Panini Spectra Red Die Cut Variations. Manufacturer: Panini Group. SetType: Parallel. Team: Orlando Magic. Card Manufacturer Panini Group. Year: 2013. Player Jamaal Franklin. Card Manufacturer Totally Certified. Autograph Format Sticker or Label. Card Attributes Autograph. Card Attributes Single-Insert. League NBA. Player Solomon Hill. Card Manufacturer Totally Certified. Autograph Format Sticker or Label. Card Attributes Autograph. Card Attributes Single-Insert. League NBA. Player John Henson. EFFECTIVE April 19, 2014. Card Attributes Piece of Authentic. Product Single-Insert. Original/Reprint Original. Card in title is the actual card you are purchasing. Player Kendrick Perkins. Card Manufacturer Panini Titanium. EFFECTIVE April 19, 2014. Era Modern (1970-Now). Team Oklahoma City Thunder. Card Attributes Serial Numbered. Card Attributes Piece of Authentic.